INDIANAPOLIS -- Forget loopholes, the Indiana Petroleum Marketers and Convenience Store Association (IPCA) is recommending its members market an alternative to selling cold beer—at least until they can do so legally. Chill Indiana, a coalition of small businessmen and women in Indiana supported by the IPCA, is bringing the Glacier Bag to Indiana retailers. If you want to read the full article written by Steve Hotlz you can do so by clicking here. The Indianapolis Star reports that some retailers are now selling the Chill Indiana Glacier Bags. Customers can purchase the bags for the suggested retail price of $6.99 each, place their warm beer in the bag, then fill it with ice. Customers are encouraged to reuse the bag on subsequent trips to convenience or grocery stores and because customers can't ice their beer until after the point of sale, state law does not prohibit the activity. 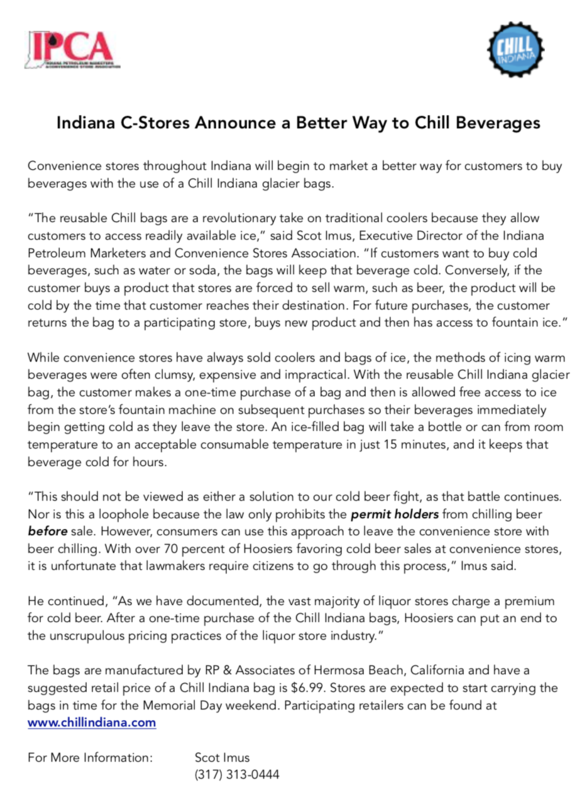 The Chill Indiana Glacier Bags is the latest attempt by the Indiana Petroleum Marketers and Convenience Stores Association to combat liquor stores' exclusive right to sell cold carry-out beer. 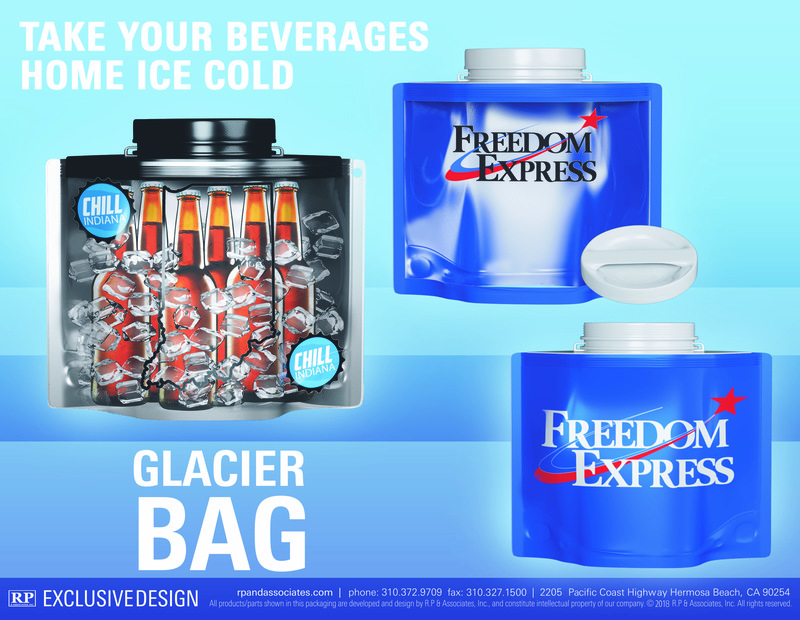 Convenience stores work around cold beer prohibition as stations will be selling reusable Glacier Bags that will make beer cold "by the time that customer reaches their destination." "Want cold beer? Then say, 'Goodbye' to Styrofoam coolers and bulky bags of ice, and thankfully goodbye to overpriced scary liquor stores," an advertisement for the new bag says. Take a look at the actual video below! The Glacier Bag is bringing back cold beer to Indiana! INDIANAPOLIS (WTHR) - Some convenience stores in Indiana may be working on a loophole to get you cold beer. While you can now buy beer on Sundays in Indiana, grocery stores and gas stations still can't sell cold beer. The Glacier Bag is out to change that. After putting your warm beer in the reusable bag, you fill it with ice from the fountain machine. It promises to cool your beer in just 15 minutes and keep cooling the beer for hours. Check out the video below to see the Glacier Bag on live tv!